Our team starts with our family! Dr. Cristina Jaramillo grew up in Colombia and moved to Texas with her family in the year 2000. While in Colombia her primary education developed in a Franciscan school where she learned not only to love and respect but to care tremendously for animals. 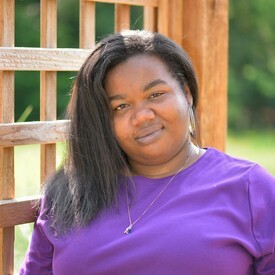 She then continued her education in U.T Arlington with a Bachelor of Arts degree in Science in 2006. 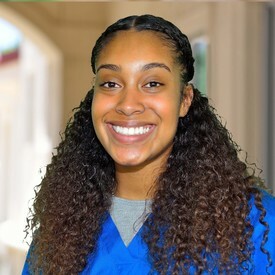 While undergoing her basic schooling, she nourished her passion volunteering at a small animal hospital and at a local animal shelter in Carrollton, TX. Dr. Jaramillo ventured off to California to complete her Doctorate of Veterinary Medicine at Western University of Health Sciences in 2010. She is USDA accredited (category I) and an active member of the American Veterinary Medical Association (AVMA). As a practicing veterinarian, Dr. Jaramillo’s interests include preventative and wellness medicine, senior/geriatric medicine, small animal internal medicine, and reptile medicine. 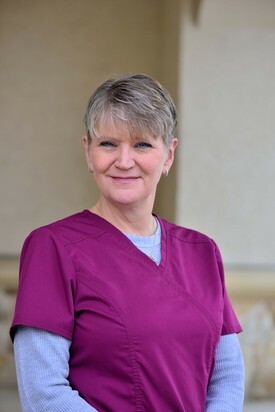 During her developing career, she’s had the opportunity to work in a variety of veterinary venues such as general pet clinics, specialty/referral and emergency hospitals, and exotic animal clinics (with reptile focus) throughout our country which adds a greater level of diversity to her knowledge and background. 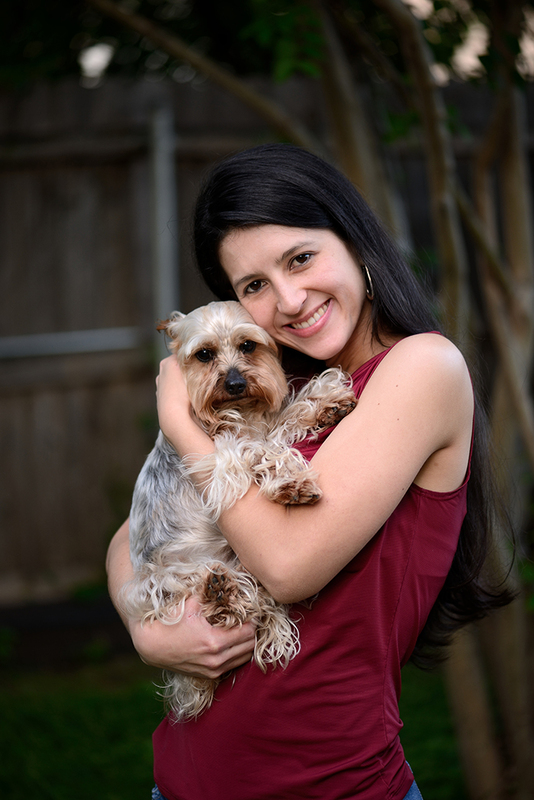 Dr. Jaramillo believes in teamwork and considers herself a reasonable and adaptable veterinarian that enjoys finding ways to help every pet she can, even if she’s hindered with limitations in resources. 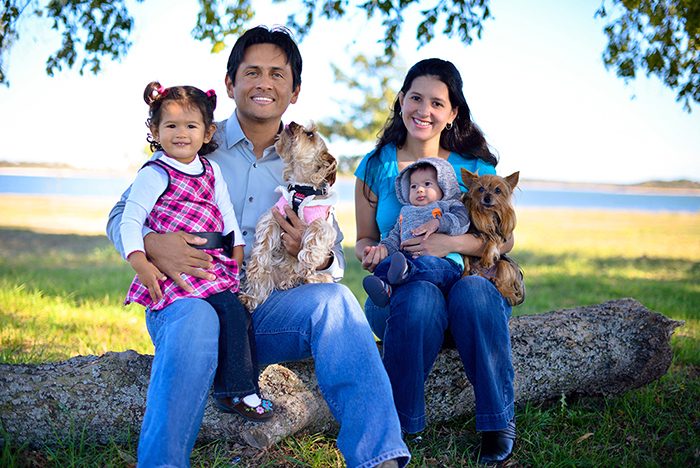 Dr. Jaramillo moved to the Fort Worth community shortly after graduating from veterinary school and currently lives in Benbrook with her husband Mario, her two children Aria and Dante and her two furry yorkies Pechan and Noce. She enjoys enhancing the environments of her pet snake Ryu, water turtle Kali and Donie, and her fish. On her free time, Dr. Jaramillo loves to spend time with all her family, enjoys gardening, and camping is her favorite family trip. Mario grew up in Southern California from a very young age, after his family immigrated to the US from Mexico. 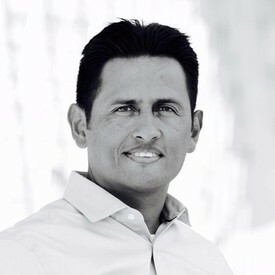 He earned his Bachelors in Architecture in 2002 from the California State Polytechnic University, Pomona. He began his architectural career at Carlile Coatsworth Architects, Inc. in Irvine until his move to Fort Worth in 2010. Quorum Architects, Inc. welcomed him into the firm with open arms ever since, and has provided a broad range of architectural services to clients including schematic design, construction documents and construction administration. Although Mario does not work directly with animals, he has a particular soft spot in his heart for their care and wellness. He took the initiative to work with Dr. Jaramillo in the design and development of St. Francis Veterinary Clinic, with the ultimate goal of providing a home environment with the best accommodations to our clientele. While working at Quorum, he has also contributed in the design conception and design development for facilities such as Animal Rescue and Adoption Centers, Senior Living Facilities and Veterinary Clinics. Since his arrival in Fort Worth, Mario has made an effort to stay involved in the community, donating innumerable hours of his personal time to several organizations including The Fort Worth Hispanic Chamber of Commerce, Steer FW, Meals on Wheels and Habitat for Humanity. He also maintains good standing with the local chapter of the American Institute of Architects at the associate level membership. For leisure, he enjoys spending time with his wife, 2 toddlers, and their dogs Noce and Pechan. Currently, his favorite pastime is to finish and improve the habitat for Kali, our pet water turtle. Mario is very active and loves riding his motorcycle, and playing soccer for a local amateur football club (Sporting Fort Worth Football Club, member of the FWASA). Yolanda was born in a small city of Colombia called Armenia. She was the youngest child and grew up with her grandparents who had a beautiful farm. With her family she learned to love, care, and respect the animals in the farm. They had many animals including hens, rabbits, turkeys, peacocks, parrots, cats, dogs, and ducks. She enjoyed helping her mother every day to clean up, feed and take care of them. She particularly loved to feed them and take the eggs from the nest. She recalls how they loved her as well. She married and has a beautiful family with two children that they have raised with strong ethics and passion for the family bond, animal care, and the healthcare field. Yolanda pursued her education in the healthcare field as well, and graduated as an MD and Surgery in Colombia. Yolanda worked for several years in Emergency care in Colombia. They migrated as a family to this country with the goal of allowing their children to continue their careers and pursuing the American Dream. 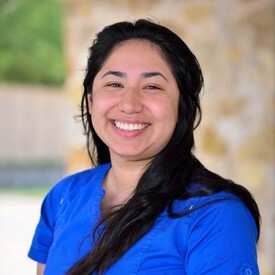 At this time, Yolanda works as the office manager of her husband’s Obstetrics and Gynecology practice in Nederland, TX, and currently planning on working with her daughter’s practice, Cristina Jaramillo, at St. Francis Veterinary Clinic with the office work. Shugar is the youngest of 5 children and was born in Victoria, TX. She and her mother moved to Fort Worth when she was 16 years old. Three years later, Shugar started working with young two legged mammals. Also known as children. She was a teacher at three different daycares over the course of 15 years. While teaching, she acquired her Child Development Associate (CDA) for 3-5 year olds. Seeing a child's eyes light up when they accomplish something, is what motivates Shugar to continue to work with and teach children everyday. In 2014, Shugar began a new career as a Nanny/Assistant. She started working for Cristina and Mario to take care of their adorable children, Aria & Dante. While she's not in the classroom anymore, she still teaches the children during learning time. Along with being a Nanny, Shugar also takes care of the other kids of the home, Noce and Pechan, and helps out in the Human Resources Department of St. Francis. Shugar enjoys spending time with her husband, Gerald, her children, Charnise & Antonyo, going to church, & singing. Jennifer grew up here in Fort Worth. 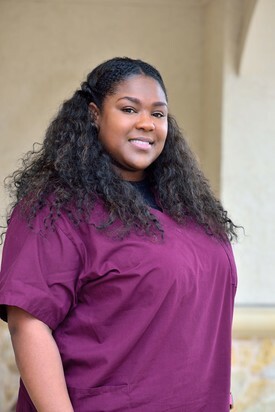 While working full time in child care, she found a part-time job as a kennel tech. It was then she realized her strengths in veterinary medicine. Over the last twenty years, many Veterinarians have helped train and shape her into the informative, compassionate technician she is today. Along with her technician skills, Jennifer has an education in massage therapy and is happy to share that skill to enhance patient care. Jennifer is now happily married for over ten years. They have two German Shepherds, Schaden and Kleine, and a pet squirrel named Gromit. When the pets aren’t keeping her busy, she enjoys spending time with family and friends. Jennifer was born and raised in Fort Worth, Texas. She has always had a strong love for animals. From a young age, she always helped hurt or lost animals. After high school, she attended Tarrant County College while working full time. Jennifer transitioned from retail to animal care because of her desire to better the lives of animals. She aspires to be a veterinary nurse. When not at work she spends time with her tuxedo cat Winry and her Great Pyrenees pup Beau. Bre was born and raised in New Orleans, LA. Like many, her family relocated to Texas after Hurricane Katrina. She has worked in customer service for thirteen years – seven of which were in the NICU of a pediatric hospital. 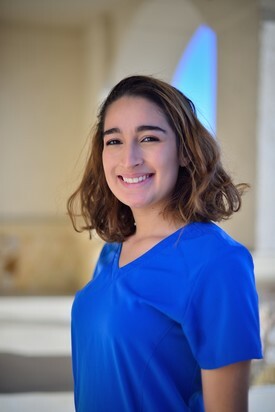 She graduated from Tarrant County College with an Associate of Applied Science degree and is currently enrolled at the University of Texas at Arlington. When she isn’t loving on our clients’ fur babies, she enjoys spending time with her family and friends, traveling, cooking, playing volleyball and home décor shopping. Olivia Rodges was born and raised in Fort Worth Texas. Her love for animals manifested at an early age and continued to grow throughout her life. In high school she raised market swine and breeder goats and loved every second of it. 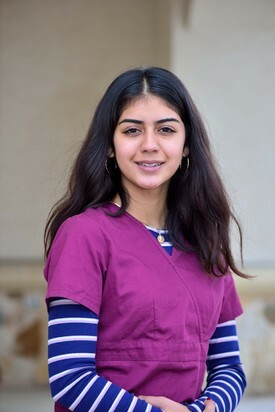 After high school she became a part-time student at Tarrant County College while pursuing a career in the Veterinary field as a veterinary assistant. Her goal is to become a veterinary nurse. In her free time, Olivia enjoys hiking and swimming with her dog Rex, and cuddling on the couch watching a good movie with her other dog Fatty. Sofia was born and raised in Puerto Rico, and moved to Fort Worth in 2006. She attends class at the University of Texas at Arlington, pursuing her dream of becoming a veterinarian. She's always had a strong love for all kinds of animals. While growing up Sofia helped her grandparents raise horses, chicken, goats, dogs,and cats on their farm. During her free time Sofia likes to do many things such as; playing racket ball, rock climbing, swimming, but her favorite pass time is spending quality time with her bunny "Bun Bun."